The new SUPER 1403 'Made in India' raises the bar for pavers. This is due to its chassis and material conveying system, which are designed to be every bit as robust as the innovative high-tech components inside the machine. By these means, the paver enhances quality and work safety in road construction. After all, the Indo-German development team works to the same high standards that apply in Europe. The result is pure power: a premium machine with first-class technology. With its extremely compact dimensions and superb manoeuvrability, the Universal Class paver covers a range of applications that spans everything from winding city streets to motorways. The SUPER 1403 paver is driven by a powerful and efficient 6-cylinder, 112kW Cummins diesel engine. Effective cooling ensures reliable operation and full power utilization, even under extreme tropical conditions. The ergonomic and fit-for-purpose ErgoBasic operating concept provides an optimum overview while ensuring a high level of operating comfort for the paver and screed. The simple maintenance with easy access to all vital service points on the machine is another typical VÖGELE feature. A central advantage of the SUPER 1403 is its wheeled undercarriage with separate hydraulic drives and optional drive of two front wheels (6x4), which lends the machine outstanding manoeuvrability. Combined with the bogie-mounted front wheels that maintain constant ground contact, the wheeled paver also achieves excellent traction. The hydraulics are designed for particularly high performance. 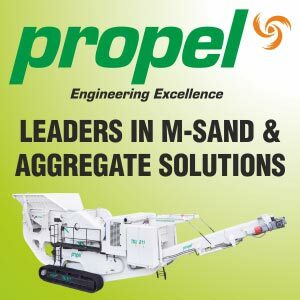 They drive the material handling system precisely, ensuring an optimum head of mix in front of the screed at all times. This enables the state-of-the-art AB 480 TV Extending Screed with optional electric heating to lay down high-quality surfaces in widths from 2.55m to 4.8m and ranging up to 6m with bolt-on extensions. The maximum laydown rate is 600t/h.